Welcome back to my second stop with Amber Garza's Prowl Trilogy tour with iLUVbooks. My final review will be here on October 12th! Click on the banner below to follow the rest of the tour. Summary from Goodreads: Mackenzie returns home from the summer with her grandma, certain that Wesley is out of her life for good. Until the nightmares resurface, and strange things start to happen. Is Wesley back? When the danger escalates and threatens those closest to her, Mackenzie must fight to save them. Only this time the evil is more powerful, and Mackenzie is faced with an impossible decision. 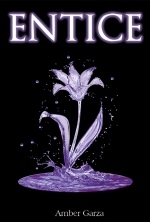 Entice picks up where Prowl left off, with Kenzie back home and starting her last year of school. She’s continued her relationship with Isaac, despite the difficulties of long distance. Although Kenzie thinks she defeated the demon haunting her life, he has managed to maneuver his way into the lives of those she loves. Plus, an old crush comes around and begins to make time for Kenzie and be a solid presence when she’s struggling. I’m going to start off by saying I really liked Tanner’s character. He wasn’t overdone, or one dimensional and I felt like we got a better glimpse into this new relationship than we did with Isaac and Kenzie. Drake was dark and entertaining, and I was happy to see Haley come around at the end. 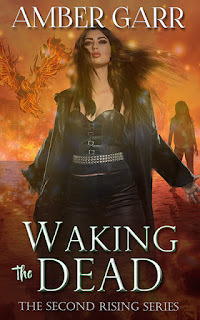 Although a book with strong Christian views, I was still able to enjoy the story as a paranormal fan and have to give props to Amber for the cliffhanger at the end! The Good: Entice was fast paced and an even better read than Prowl. Excellent pacing, dialogue, and world building. The Issue: I hate to say it, but I had an issue with Isaac in this one. Although there were glimpses of it in Prowl, I found him to be very judgmental and pushy in wanting Kenzie to only hang out with people from church, as if no one else is approved. It definitely made me appreciate Tanner more. The Rating: 4.5 conch. An intriguing story with great characters that leaves you wanting more. You will read this in a day and you better have Unveil in your hands ready to go!